GeekVape Tab Pro is a multi-functional ohmmeter tool after 521 tab series that you can use it as an ohm reader, voltage drop checker, building and firing test station. With a 90° rotatable connector, you can adjust it to suit personal preference. Moreover, the tab pro is useable as a temporary mod with maximum 50W power. Tab Pro by GeekVape is a multi-functional ohmmeter tool, which can be used as an ohm reader, voltage drop checker, building and firing test station. Made of durable high-grade material, the Tab Pro has a sleek body with 90° rotatable connector. It features a phenomenal precision of measuring resistance ranging from 0.05ohm to 3ohm. 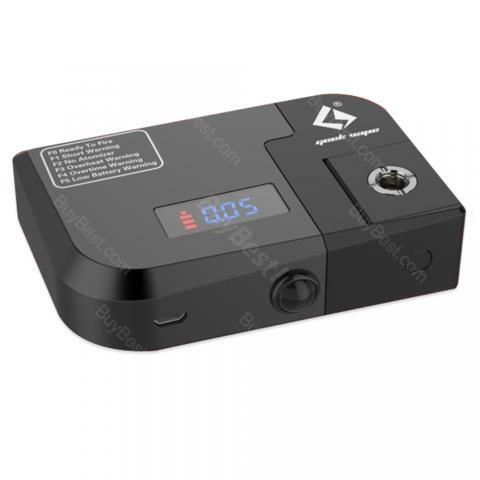 With maximum 50W output by a single 18650 battery, you can even use it as a temporary mod. The GeekVape Tab Pro is a necessary addition for coil builders. • Coil building is for advanced vapers. • It doesn't include batteries, so you need to buy them separately. The price is affordable, the delivery is fast and the customer service is great! Love my new geekvape tab pro ohm meter tool! Good packaing and quick shipping. The Tab Pro works well. Very Good! My brother likes the Tab Pro and the tool is very helpful. GeekVape is always my favorite brand, and the Tab Pro does not make me disappointed.